I love looking at small dainty flower blooms, makes it worthy to focus my cam and do some macro shots! What makes this one special? 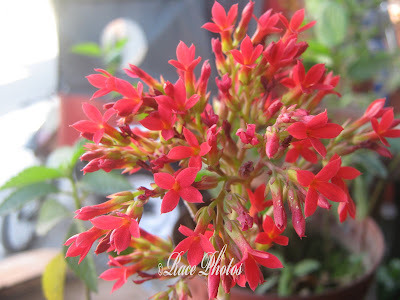 This one has survived the big Ondoy flood and Mom was so happy that after several days it bloomed beautifully! Flowers make my Mom's day special! She has a green thumb when it comes to plants and flowers, she got it from her parents who've grown rice, fruit trees, coco trees and various veggies in their land in Laguna (40's and 50's). Quite a history! See my other WW entries here and here! Click on the badge for other entries! There are lovely even with out the story which makes them so very special.